Oldest known woman dies in Palestine | It's Only Natural To Resist. Ramallah: The head scarf was the only hindrance in the way for the oldest woman in the world to enter the Guinness World Records. 124-year-old Palestinian Maryam Hamdan Ammash, her sons and grandsons refused to meet the condition of the Guinness team for the aged woman to take off her head scarf and appear on TV. Maryam’s family members said that their grandmother who has performed the Haj (Pilgrimage) five times in her life and performed Umrah ten times refused to commit a sinful act even for getting eternal with entering the Guinness World Records. “There have been serious discussions about Maryam entering the Guinness World Records breaking the record of the French Jeanne Louise Calment who lived 122 and a half years. A team of the Guinness team visited Maryam and her family last March to this end,” said Mahdi Helmi Ammash, a grandson of Maryam in an interview with Gulf News. “Armed with official documents including her birth certificate, identity card and other documents, we will not give up our grandmother’s right to enter the Guinness World Records for the longest human lifespan even after her death,” he said. Maryam died last Saturday after she lived for 124 years and scores of people from around the world are attending her ongoing condolence session held in her home village of Jisr Al Zarqa’a, near Haifa of the 1948 areas. Maryam who held a Turkish birth certificate and an identity card which clearly stated that the woman was born in 1888, became undoubtedly the oldest woman in the world. “This fact is beyond doubt and that all officials who paid visits to my grandmother have confirmed it and this is documented with the family,” said Mahdi. Maryam had ten children, the youngest of whom died a long while ago. With four sons and five daughters who survived, she had hundreds of descendants, estimated at 600. “Maryam’s grandsons were grandfathers when she died as the grandmother of four generations,” he said. “Maryam’s relationship with her children, grandchildren and their children and grandchildren was astonishing, knowing them one by one and following their lives in details,” he said. “The wise Maryam, despite her old age, was the spiritual leader to all her family members who trusted her views and followed them almost blindly,” he stressed. The woman was known in her village to be totally focused and balanced and she acted as a paediatrician who provided medical treatment for the newly born and infants. “We keep instruments which Maryam carefully kept since the Turkish rule in Palestine to treat the little ones,” he said, adding that visitors from around the 1948 areas visited Maryam seeking treatment which she provided for free. The aged Maryam strictly depended on natural food, with food made of fresh vegetables her main dish. “She was an expert in herbs which she collected from even the far away farms, chasing certain types of them in their seasons,” he said. “None of the family members has any memory of Maryam consuming ready made food from the markets,” he said. Mahdi said that his grandmother was an encyclopedia on Turkish rule in Palestine and the British mandate. “Till the time of her death, she used to tell us thousands of stories about the life the Palestinians lived under the Turkish and the Ottoman rule in Palestine, the British time and the wars waged in the area,” he said. “We feel sorry now after we lost her that we had not documented her stories as she was an eye witness for such a long period of time,” said Mahdi, promising to pass Maryam’s stories to the coming generations. No specific date of birth was recorded for Maryam. Rather, her family members used to mark her birthday some day by the beginning of each year. “It was a major celebration where she insisted to have all her children and their siblings under her roof for the occasion,” she said. 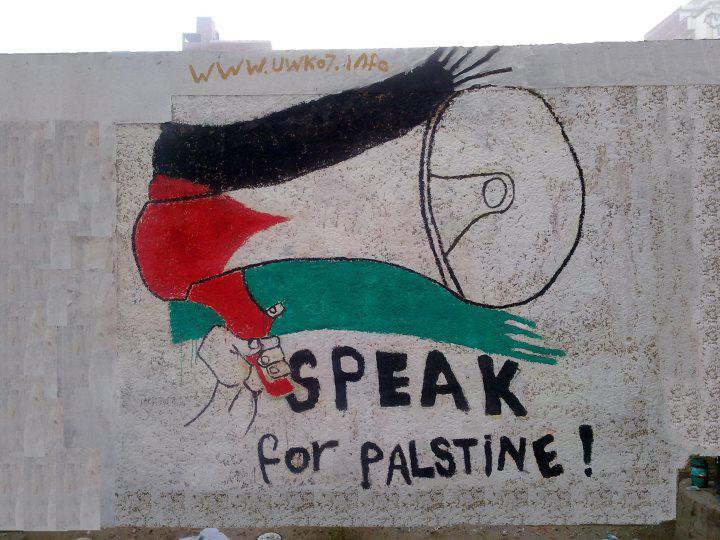 This entry was posted on December 26, 2012 by ispeak4palestine. It was filed under Articles on Palestine and was tagged with Beautiful, Guinness, Islam, Palestine, Ramallah, Turkish.